Downtown Castles Can Never Block The Sun is as much a ‘greatest hits’ as it is a ‘debut album’ for Ben LaMar Gay. It’s a collection of music composed, performed & produced by the anomalous Southside Chicago-born, sometimes Brazil-residing artist, compiled from 7 albums he made over the last 7 years but never made the effort to actually release. If you’re a follower of Chicago brand avant-garde, Downtown Castles is likely not the first you’ve heard from Ben. One of the most prolific collaborators in our city’s creative music community, he makes active contributions to Theaster Gates’s Black Monks of Mississippi, Nicole Mitchell’s EarthSeed, Mike Reed’s Flesh & Bone, Matthew Lux’s Communication Arts Quartet, Joshua Abrams’s Natural Information Society, Bitchin Bajas & many more. He’s a default descendent and a long-time participant in the AACM (i.e. the legendary Association for the Advancement of Creative Musicians). And he’s well represented in the International Anthem catalogue as well. Beyond being the brains behind Bottle Tree – the future funk suite we released in April of 2017 that was named “#1 Best Album of the Year” by London’s EZH Magazine (c/o founder Tina Edwards) and on NPR’s Sound Opinions (c/o producer Ayana Contreras) – he was a core component of Makaya McCraven’s Highly Rare and a cornet cameo on Jaimie Branch’s Fly or Die (both of which were included in the New York Times’s “Best Albums of 2017”). 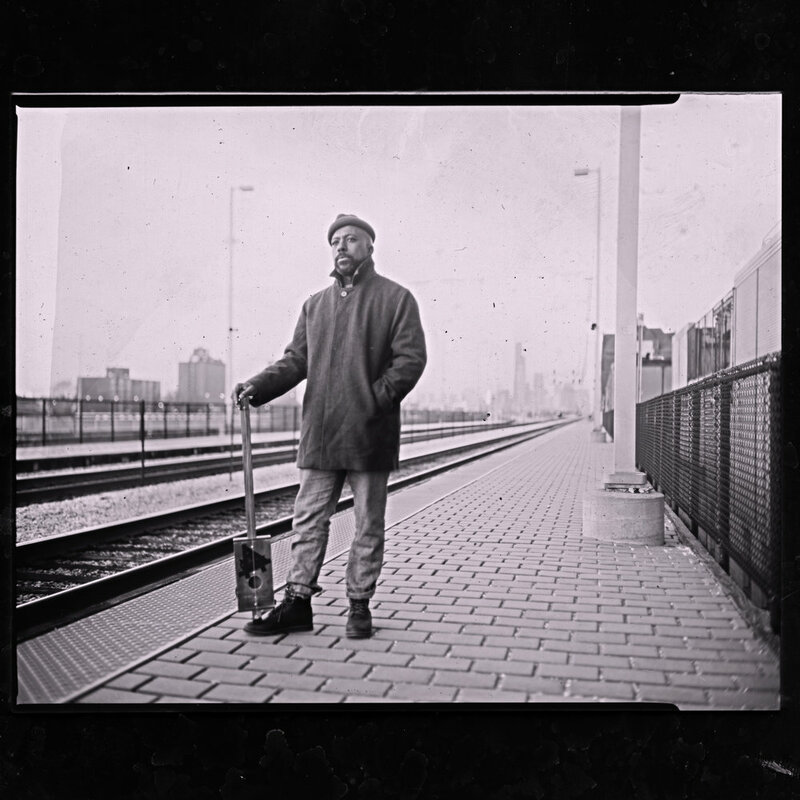 Suffices to say, Ben LaMar Gay is nearly omnipresent in the current zeitgeist of progressive jazz sounds sprouting from Chicago. Knowing how tirelessly Ben works and how, perhaps more than anybody we’ve encountered, he embraces music-making purely for the joy of the process, it was not surprising to learn he had been low-key self-producing recordings between his residences in Chicago & Brazil for the last 7 years, and had amassed 7 albums that were sitting totally finished, never released, on hard drives at his house. And knowing how dynamic his tastes and talents are, it was not surprising, but nonetheless astonishing, to find that each of those 7 albums have drastically different sounds from one to the next, each a totally unique concept with a totally unique, colorful story. Downtown Castles Can Never Block The Sun (a title taken from the mantra he repeats across several tracks on Grapes, 1 of the 7 albums) is our effort to channel the rainbow of sonic expressions, art & poetry beaming from the ark of his unreleased catalogue into a cohesive & communicable compilation. It’s as good of an introduction to Ben LaMar Gay as we could fit onto a single LP. To call it “eclectic” would only scratch the surface. This music is everything. Compiled & Sequenced by Scott McNiece & Ben LaMar Gay. Cover Art & Photos by Maren Celest.